“You must be suffering from TDS!” gloated a right-wing commentator. These two were not the last to utter the mysterious affliction. Soon, references to TDS inundated this particular forum. The seemingly jubilant commentators were on a mission to spread the word of this “disease” they believed affected so many participants in this forum. What aroused such a response? President Donald Trump, or to be precise, the criticism he received on a daily basis on this particular Internet site where the forum originated. While some pointed out the flaws of the 45th president of the United States, others pointed a fickle finger at the accusers, claiming they were the ones with the major flaws. As one can see, this is not a psychological problem. As one can see, this is not a psychological problem. Instead, it’s the latest rhetorical trend adopted by Trump Supporters to silence and vilify their opponents. It’s also an over-wrought and overused tactic. Several variations of it existed over two decades. 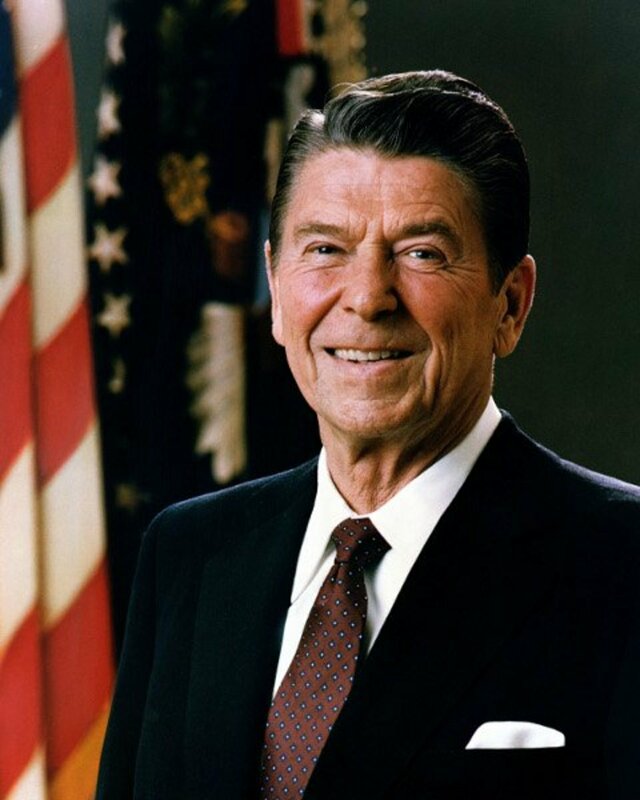 Each one used in defense of a particular politician (both left and right) – especially presidents. These faux-medical terms do little but give opponents new names to call each other. And, is often the case, the forums become extremely contentious and full of insults. It stops becoming a debate and more like a contagious disease in which accusations fly. It’s time to find a cure for it. And it may be easy to do so. Derangement syndrome is the umbrella term for TDS. The term can be easily summed up by a word often used in its definition. Nearly every site that devotes precious space to this syndrome describe it as a neologism – a new word or phrase that (as a definition at Rationalwiki.org states) can be considered “made-up”. And made up is exactly what it is. Psychiatrists never coined the term. No legitimate and reputable doctors prescribe medicine for it – and they will never diagnose it. It is pure rhetoric. Simply put, it is a tool or “verbal weapon” one side uses against another. Who created this and when was it first used? That honor goes to a neoconservative columnist for the Washington Post. According to numerous sources, columnist Charles Krauthammer came up with the term in 2003 for an article entitled “The Delusional Dean”. Back then, he called it Bush Derangement Syndrome, and he targeted noted Bush critics such as Howard Dean and Barbara Streisand. 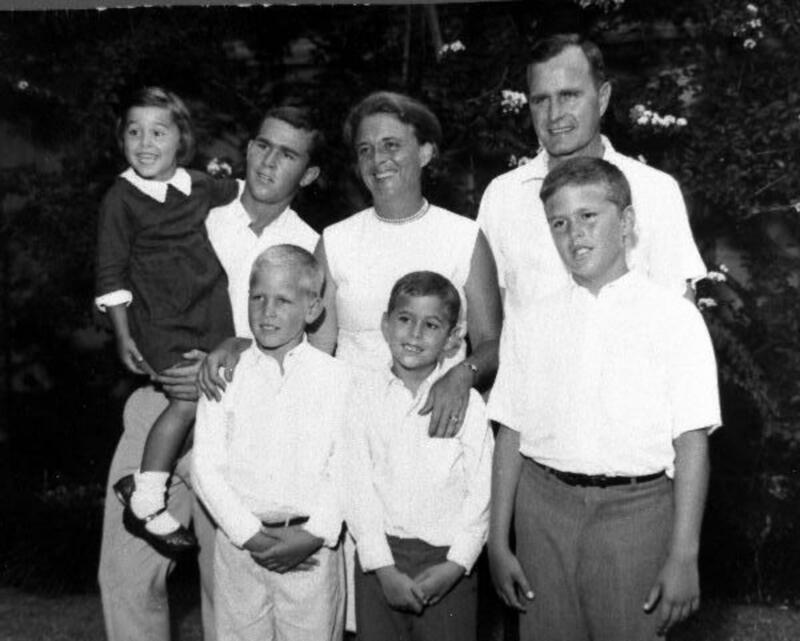 affirm the beliefs of the base that supported Bush. The quote by Krauthammer served as the model for the definition of the umbrella term of derangement syndrome (To note: Krauthammer recently wrote a syndicated column, in which he appeared to be unapologetic for coining the phrase and was supportive of the TDS incarnation). In addition, considering that derangement syndrome is an umbrella term, other (unfortunately) forms of this affliction have been “diagnosed”. New president – same rhetoric. 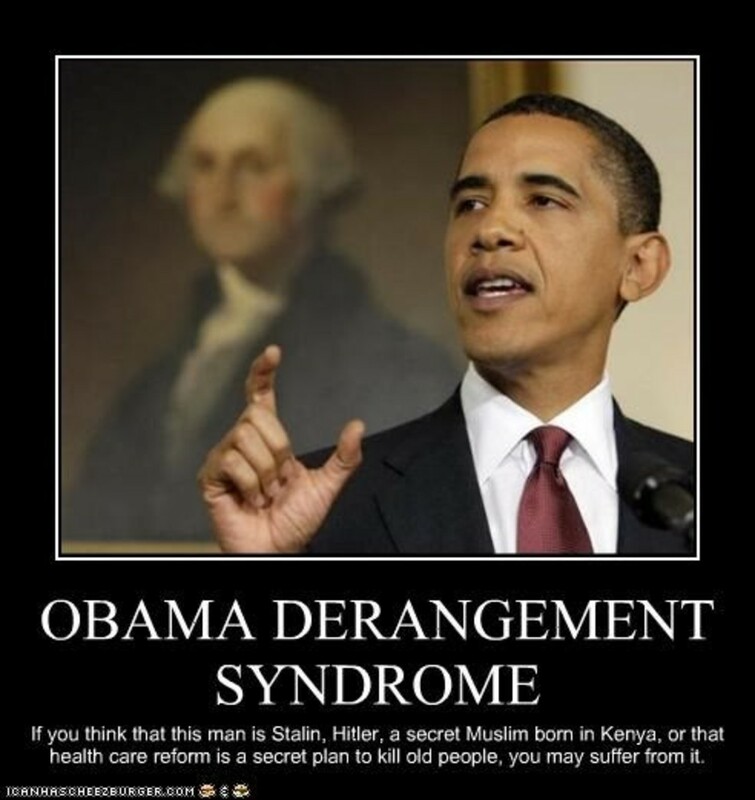 Even after Barrack Obama became president, Bush Derangement Syndrome was still a political disease. First, many who evoked it used it to deflect criticism aimed at Bush for his handling of the Great Recession. 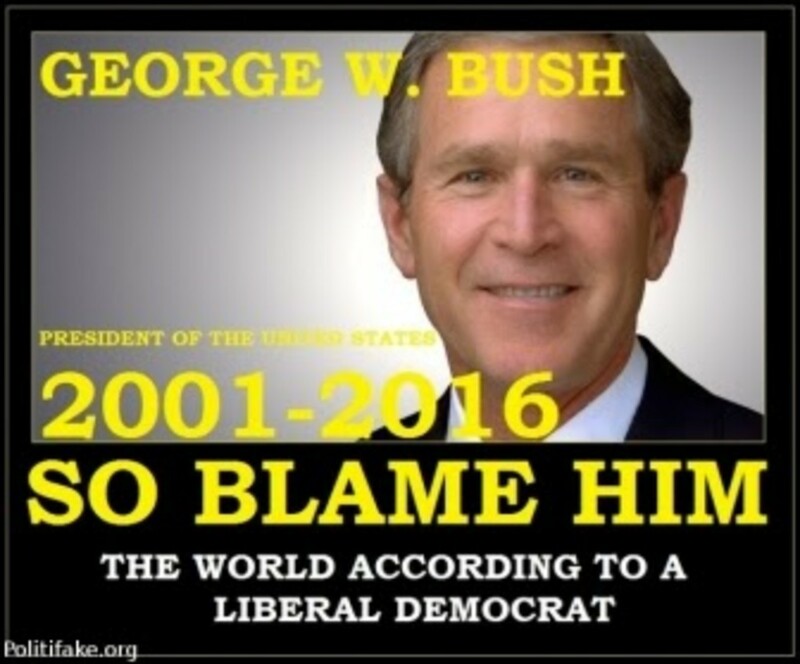 The sarcastic call of “Blame Bush” for the economic problems and the political backlash caused by the wars against terrorism and in Iraq and Afghanistan were the symptoms. About this time, Bush Derangement Syndrome accusers started to shift their tactics. They lashed out at the new president and his policy while trying to preserve the previous one’s legacy. Eventually, rhetorical attacks led to the debunked belief that Obama wasn’t born in Hawaii. Instead, some stated he was born in Indonesia or Kenya and that his birth certificate was forged. This came to be known as the Birther Movement. The attacks from these birthers got ugly, demeaning, and personal. Moreover, downright racist when the rhetoric including accusations he was part of the Black Panther and/or was a secret Muslim. In the midst of this political climate a new form of derangement syndrome was born. Blame Jon Stewart for that. The Daily Show’s former anchor/host uttered this back in 2009. It was a direct response to the birther movement. It was humorous, and in many cases, to the point -- considering the ludicrous measures some of these birthers, Tea Party members and other critics took. Still, Obama Derangement Syndrome ridiculed the critics (which, incidentally, included Donald Trump) , just as the Bush variation did. Finally, there is something called “Derangement Syndrome” Syndrome. Actually, this was the 2008 title of an Outside the Beltway article by Alex Knapp. Knapp was one of the first to call out this ridiculous malady, by stating that it protects politician with bad records while vilifying those that point these things out. In addition, he called it for what it has become: "a joke" created by Krauthammer. At best, some who have been accused of TDS or any form of derangement syndrome must realize that it’s just an pejorative and not something to be taken seriously. The problem with a joke is that in time someone takes it seriously. 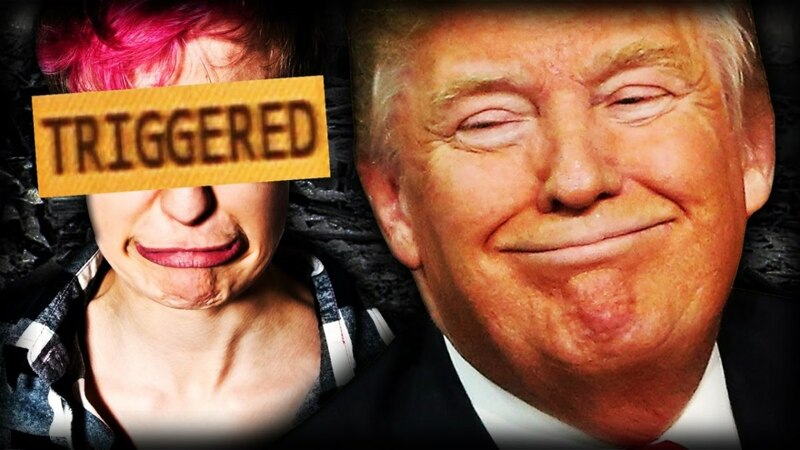 In the contentious age of Trump, TDS has become an attack weapon rather than an instrument of ridicule. As reports roll in nearly everyday that brings into question the president’s ability to do his job, his proponents have racked up the attacks to the point they’ve become mean and nasty. In addition, one wonders if the those who use TDS actually believe that their opponents have a mental disorder. Unfortunately, the right-wing commentator in the forum mentioned, has a conviction that it is real. On top of that, he used it in other forum threads, letter to the editors, and readers comment section of an article. At best, some who has been accused of TDS or any form of derangement syndrome must realize that it’s just an pejorative and not something to be taken seriously. In fact, one can view the person that utters it as being childish and petty for it. In other words, they’ve actually destroyed their own argument. So What Happened to the Forum? In the example given, the forum continued for another day with the usual group of right-wing commentators making their TDS claims. 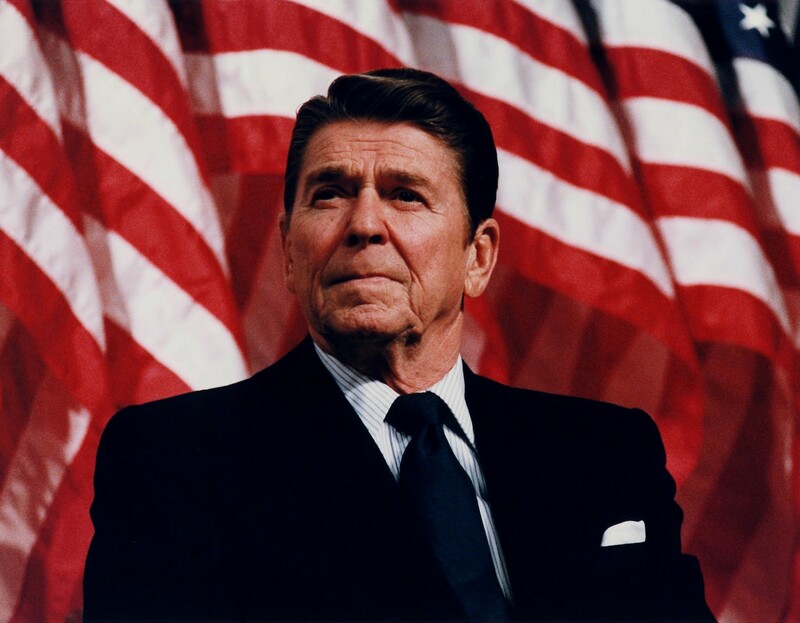 Then someone – the person originally attacked with TDS -- devised a comeback. The rebuttals from the right-wing commentator or other Trump supporters stopped posting on the forum threads. And for a brief period, the symptoms for TDS were treated. No need to call a doctor. Your statements are jumbled. You've mixed some of my words with someone else's. It's difficult to respond. I'm concerned when people disagree with their own view point. Go away, Brad. All you're doing is wasting my time. What exactly do you think is the base. "Am i dealing with a 5th grader? No, seriously. Your cicular reasoning and repetition to avoiding a question is astounding." What does that answer, and you can't even reference the subject of my comment? Why bring up something from 6 weeks ago and were off-base anyway? Time to move on. I just heard Germany is now also "polarized", people becoming anti gvt. Translation: pro biz. Privitization, bankers get a cut of everything. More wealth to the top. None of those nuisance taxes. What a collosal scam. Nice job mobsters. Hope you enjoy your gluttony at the expense of the human family. The extreme left has helped to trigger the extreme right. Extremists are very unstable intolerant people. That's the definition of extremism. Calling the entire left or the entire right crazy is the calling card of extremism. Calling Trump "crazy like a fox" is not an extremist attitude. To me he is just another racist appealing to white americans (or americans who want to be white). An extremist lefty wants to ban crucifixes from war memorials and eliminate gender terms. This is not crazy like a fox but it is crazy. This feeds the right wing. In this bizarre situation the middle ground has automatically become the sanest path. Yes, it stopped being great under the Obama years. I'm sure you are being attacked on all sides with this topic. If anyone is deranged, it is our president, Trump. The ones of us who try to block his manic, senseless decrees are the sane ones. We are descending into madness as a nation. Other countries look at us and shake their heads for what was once a great nation. Am i dealing with a 5th grader? No, seriously. Your cicular reasoning and repetition to avoiding a question is astounding. Dean, is this your final answer, deflection, attack, condescension, and just being rude? I submitted my question and it was simple and straight forward, who represents the left in Congress. And in less words than your deflection you could have answered it, and that is your style. Bye TDS drivebyyyyyyyyy Dean, and Donny drivebyyyyyyyyyyyyyyyy. Brad, you didn't answer my question, stop trying to save face. You think I'm fooled by that? You have no answer. That doesn't mean you can ask an unrelated question in some warped attempt to prove your point (if you have one). All I have is your word, and that's not trustworthy, at all. Also, I find it hard to believe there's hard-driven data from a reputable journal or research group to prove your claim is true. No answer for me, then don't bother posting. It relates to TDS, and you asked me to prove it. I am trying to do that but you are trying to block me from doing that! Your question is off topic, archaic, and flat out hard to follow. On top of that, I'm the one who asked the question about your evidence about the TDS/PTSD. Instead you've taken me on a merry-go-round. If you can't supply the answer then don't respond. Let us look at this another way. Who is it that represents the left in congress? Can you give me a name of politicians that align with your views? This is a straight forward valid question.. We need to define what is the left. When you have something to discuss speak up. Jack i deal with kids who have some form of disability that happen to have "syndrome" in its name. Also my sister and brother-in-law are doctors. So somewhere along the way i had to know what that means. Secondly ive never used tws to describe anyone with a blind devotion to Trump. Instead that distinction goes to cognitive dissonance -- which is more fitting...as well as an actual term. There is no TWS but there surely is TDS. Just making up a term does not justify its existence. I am curious if Don or Dean understand what is a syndrome. To qualify, someone would have to be affected in a negative way. Bradley...take it easy bub. I'm under no obligation to provide you with facts so you can provide me with alternative facts. It wastes my time. I know you're waiting on the edge of your chair, with your made in China MAGA coffee cup in hand, but you'll just have to wait until my next piece. Apologies. I asked you first, and your response is do I have alternate facts. What is a fact is that you can't or don't answer my questions. You brought up facts first in your comment to Dean. BTW, what is an alternative fact? I'm sure you have some alternative facts you'd like to share Brad. I'll write another article soon so you can see real facts...no worries. "Trump spins them right round baby like a record. Facts mean nothing to those with TWS, "
Can you share some facts? Hi Dean. Since we're talking about syndromes. I think you sent a couple people into another round of TWS (Trump Worshiping Syndrome). Some of these conversations...wow. Trump spins them right round baby like a record. Facts mean nothing to those with TWS, they even have alternatives, so they don't even no what direction to aim. Evidence! Evidence ! Where is it? I dont care about all this fluff. Stop tinkling on the toilet seat and shoot for the bowl. "Stop beating a dead horse. This is not about confusing my name with Mike. Let.It.Go. As for the other stuff: It's now within the PRATT realm (Point refuted a thousand times). A non answer uttered a million times is still not an answer! I don't know what you have to gain by pushing the PTS/TDS connection nonsense. You've never given me any evidence to your claim. And you keep repeating the same tired argument over and over. I have given you more evidence than you have given me answers. The only thing tiring here is your continued attack and deflection instead of taking my evidence and refuting it. I submit that the symptoms associated with PTSD are the same ones we see on most of the left. The left has been exhibiting these symptoms since Trump became a candidate, and they have only gotten worse. Just take a look at election night with all of the polls, and the media predicting a win for Hillary, only to have to confront the reality that Trump couldn't win the election, but in real life, no polls, no media bias he trounced her 304 to 230. And that was the Trauma that gave them the PTSD. You refuse to look at and summarily reject with deflections. If you have compelling evidence, rather than your word, for you claims, then post the evidence....websites, journals, anything. If not, forever remain silent on the issue." You have the evidence by comparing the acts of the left and the symptoms in the medical journals of PTSD. Are you now going to challenge whether PTSD is real? Once again, I ask you to compare the symptoms of PTSD and tell me why they don't fit those exhibited by the left. It is natural to feel afraid during and after a traumatic situation. Fear triggers many split-second changes in the body to help defend against danger or to avoid it. This “fight-or-flight” response is a typical reaction meant to protect a person from harm. Nearly everyone will experience a range of reactions after trauma, yet most people recover from initial symptoms naturally. Those who continue to experience problems may be diagnosed with PTSD. People who have PTSD may feel stressed or frightened even when they are not in danger." The shocking, scary, and dangerous event was Hillary Clinton losing the presidency to Donald Trump. The fight or flight response is found in the anti Trumper vowing to resist the Trump presidency to protect America. The continued exhibition of the resistance is diagnosed at PTSD. The Trauma of this form of PTSD is Trump. And they are not really in danger, but they still feel stressed and frightened. Stop beating a dead horse. This is not about confusing my name with Mike. Let.It.Go. As for the other stuff: It's now within the PRATT realm (Point refuted a thousand times). I don't know what you have to gain by pushing the PTS/TDS connection nonsense. You've never given me any evidence to your claim. And you keep repeating the same tired argument over and over. If you have compelling evidence, rather than your word, for you claims, then post the evidence....websites, journals, anything. If not, forever remain silent on the issue. There is no song and dance from my side. You and Mike are similar in the way you answer and the forums. What difference does it make except for you to use it as a deflection. The real evidence is in the symptoms, they match up with PTSD. so if you like that better than TDS, it is a distinction without a difference. The left is suffering from PTSD, are you any happier? Match up the symptoms of PTSD with those being exhibited by the left, including yourself and tell me why they don't match up. Brad, just admit when you make a mistake or when you're wrong instead doing the usual song and dance. You're not fooling anyone. Even pointing out you used the wrong name is creating this much drama? Also, get off the TDS/ PTSD connection. No matter how times you slice and dice it, there's no real evidence between the two. PTSD is real; TDS is a silly talking point that makes the user feel good about themselves. You and Mike are so similar. "So What Happened to the Forum? How does this make this person a winner? How did this make that person win the argument? "The rebuttals from the right-wing commentator or other Trump supporters stopped posting on the forum threads. And for a brief period, the symptoms for TDS were treated. No need to call a doctor. I don't do forums, I write and comment on articles. But, that wouldn't have stopped me from continuing if I were in that forum. I asked you to tell me why TDS is not PTSD and I gave you the relationship. These are not my words, these are the words of PTSD, and the T is for Trauma, and TDS is the Trauma, Trump. Explain to me why the PTSD symptoms aren't the same in TDS? Mike? I didn't know my name was mike. Doesn't matter anyway. It's look like you're trying to pop a tire on an 18 wheeler with a hypodermic needle. Well Brad, to be blunt, you're not exactly a credible source for information. Brad, you're deflecting again. You know what I mean by evidence...not your word on the matter. My proof is still in my comment made 47 minutes ago? When you respond to it, I would appreciate you replying to my words, and not the usual dismissal. Tell me why my proof is not valid? Your definition matches the original intent with the exception that it's a career ender. As I see it, it's a tool for deflection and a way to undercut opinions that one doesn't like. Unfortunately, this TDS stuff is akin to the anti-vaxxer movement. While that myth has been proven wrong on so many levels, there are still a few that hold on it for dear life... and, just like the anti-vaxxer thing, some people tweek with definition or details in order to still make it true. I guess it's tough to sway anyone with real evidence these days. Stop the driveby car, get out, and tell me where this is not part of PTSD! Unless you can debunk PTSD it is the same. You are missing my definition. If it was just a simple disagreement or opinion, then there is no need to create a new category called TDS. Just as Brian Ross. He did not just jump the gun on a story as you suggested. He misled the reader to think one thing and caused the stock market to temporarily collapse 300 points. I can cite many other cases where a normal individual, with respect to Trump, are so full of hate, they revert to some insane statement or action that later damaged their own career or credibility. That is TDS. back? I've always been here. No credible evidence that TDS is the same as PTSD...if you have the evidence for it post it. They have opinions, like you and me. The problem is that some people don't like it, so they come up with the derangement syndrome (in this case TDS). Anyway getting back to TDS myth: It's nothing more than a way to deflect criticism. And more often than not, it's based on ideology. Or in more precise terms, to berate or vilify the person who has an opinion about the political leader targeted by the opinion. Well, then how do you explain people like Brian Ross and Robert de Niro? and a host of others who put their own career at risk in going after Trump. That is my definition of TDS, regardless of what others define it. It is to allow one’s hatred to consume him such that he cannot be objective in his day to day dealings and in fact does things that are irrational and ends up being a detriment to his own career. He does claim to be Christian, while he cheats on his wives...plural.....check. He has refused to execute the sanctions on Vlad, which should have been done back in October....check. Id say ap got it right. The far left are actually those who agree with trump, that the Russia investigation is a waste of time. Anyone else knows better, and is far from alt left. The Derangement Syndrome floats on both sides of the aisle, AP. You are a perfect example of someone who has it - except with the left-opposition's brainwashing in your head instead of the GOPs through Fox. People like you are the kind of people T-fans talk about when they talk about 'the left' and everyone who doesn't think like them - while ignoring the majority of the rest of us moderates & centrists. Get a grip, AP. I KNEW it! These crazy Tea Party kooks were active measures!!! And, allegedly, Ivana said he threatened to take her kids out of their inheritance if she didnt renounce her claim that he raped her. This is not a nice man. Just read up. He was sent to military school because of his bullying as a kid!! Anyway, its all over twitter, and Ewent has mentioned it here. "If you're anywhere in the tri-state, area, you know all about Trump. It's why we didnt vote for him"
And guess what? Media knew, too. They wanted Trump to win. God knows why. No you have the real thing, the first sign is believing in your fairy land. According to Stormy, Trump liked to be spanked with Forbes magazine....in his tighty whiteys? And can you say you are not having a TDS seizure? Yes. Let's all pretend that if Obama had an affair and paid her off to shut her up, no one would care. Eh, so what, hes prez. Riiiiiight. Media wouldn't be howling, and Republicans wouldn't be demanding he resign...lets all pretend. And I wonder how Melania feels about these other women? According to rightwingers, she better not get mad at them or anything, call them names. And she better not question them, or stand by Donald, like that witch Hillary did with Bill, when it happened to her. No, lets ignore it, like we ignore the other 19 women who say Trump sexually assaulted and/or harrassed them. Hey--just look! You can buy the New York Times and read letters from Trump supporters......thats the way we do this presidency. This Emperor has no clothes.... and people are afraid to say it. I will say one thing in his favor, he knows how to pronounce Qatar....most people on tv say Gutter. It's KaTaaaar. Yes, and with all the drama they made about emails, which was standard practice in gvt, imagine if Hillary was fined for fraud, money-laundering and red-lining, had Russian mobsters renting from her, been bankrupt 4 times, and demanded to see Donald Trump's birth certificate. SHE would have been toast in no time flat. As it is, they called HER unqualified. Despite being a lawyer, senator, and Secretary of State. A failed businessman and a tv star. But he talks a good game. I guess that's good enough, since he's white and a man. 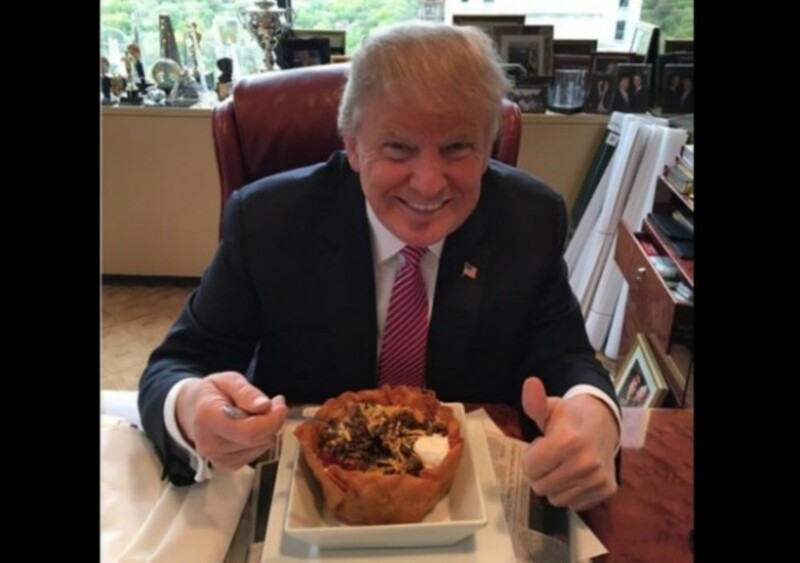 Mexico is not paying for the wall? He didnt release his tax returns? Think I will see a $4,000 raise, like he said? Sorry, to believe that guy, you have to be deranged, not the other way around. Brad, what do you think would have happened if Obama had 5 kids with 3 different women, and said he could grab you know what's cause he's a star? Suppose Malia got pregnant as a teen like Bristol Palin? Think Obama's would be praised for helping her, and Malia praised for having the baby? Can u guess? And what would the difference be? I find you can not ignore it. I ask quetions that leave them dumber then their comments. What are you going to do if you discover certain things to be true. Is that one of those dumb questions? Its like meeting a racist. What if I was black would you be saying this garbage. Because I am white you think I am a racist like you. I tell them my parents were black but they adopted me any way. My wife and my children are black and we practice shooting every week end. It doesnt have to be true because you are talking to idiots who know no truth to begin with. Making them think is scary for them. Using the premise that all white people but you are racists, is not a question it is defamatory. Because it isn't true categorically. What else do you have in your bag of trick? I must have said that to someone else. But, can we debate anyway. By the Brad, there's no reference to you in this one. Msnbc and CNN are nothing like fox. They do not lie for a living. I'm really sick of this false equivalency. Just like Hillary and Trump are the same, and Obama as a man is just as unlikable as Trump. The false eqivalencies and whataboutism have got to stop. There has been no one as bad as Trump in my lifetime, and no so-called news that lies on purpose other than Fox. It is not both sides, it is one side. And if we don't stop them, America is done. Brad, it helps to write a comment in a normal fashion. If you're going to write this way, I'm not going to read it. Especially when you cut and paste and try to put your spin on it. It just gets tedious. I am not a right-wing person, but I did vote for Donald Trump. Three verbs are so translated luts, "scorn" (Psalms 119:51); la`agh, "mock" (Psalms 2:4; 59:8; Ezekiel 23:32); and sachaq, "laugh at" (Job 30:1; Exodus 32:25 margin, "a whispering"; compare The Wisdom of Solomon 5:3). This word is found almost exclusively in the Psalms and Prophets; Jeremiah is fond of it. It is used both as a substantive and a verb, the latter in the phrase "to have in derision:"
1. The act of ridiculing or laughing at someone or something. 2. A state of being derided: Members of the board held the proposal in derision. I didn’t even know the word, had to look it up. I made an observation about his mental state, as I believe he made a statement about the mental state of president Trump. How many references qualify for inundated? Was that more of less jubilant number of people than those that speak about the mental health of the president? Be honest, it is the wording in those criticisms that were the object of the symptoms of TDS. These criticisms were not backed by any real facts, they were just emotional. Why is this not a psychological problem? I am impressed, you hit the nail on the head. That is what I saw when I made that non professional call. What else could it be, when people have no facts, and just uncontrollable emotional statements against the president of the US. That is not a good definition. That itself sounds like TDS. Donald Trump has been president for almost a year now. Those statements are derogatory baseless statements that don’t really mean anything other than Anti Trump spasm. Another symptom of TDS if failure to recognize that Donald Trump is president of the US, and he has accomplished a lot during this first year, despite the resistance of the anti Trump. Declaring something as not a psychological problem is just not a fact. So Anti Trump TDS people just want make baseless, emotional and many times just false statements about president Trump to stay silent. Over-wrought and overused tactic. Well on this one I would have to say these TDS and Anti Trump people are experts on these things. They have don’t nothing but this since Trump was elected, and they continue even today. I have yet to find someone with TDS that can debate. As soon as they are challenged about their position they go into “Red Herring” and other diversionary tactics. Like Asking a question instead of replying to the comment. How can TDS Trump Derangement Syndrome be an umbrella, it is part of TDS. Made up like president Trump’s mental health. Probably true. But with the Internet, lots of new made up words take traction and are used frequently. It is part of this century’s cyber dictionary. This syndrome is only two years old. Give them a chance, they will come up with one. Oh wait, unless they are affected by TDS themselves. Many of them are trying to get president Trump removed using the 25th Amendment. These mental health “professionals” have no ethics, because they are will to make a defamatory diagnosis on someone they have not examined, and in most cases never even met him. When was the Washington Post Conservative? In any case, I would like to thank that columnist for identifying the syndrome. 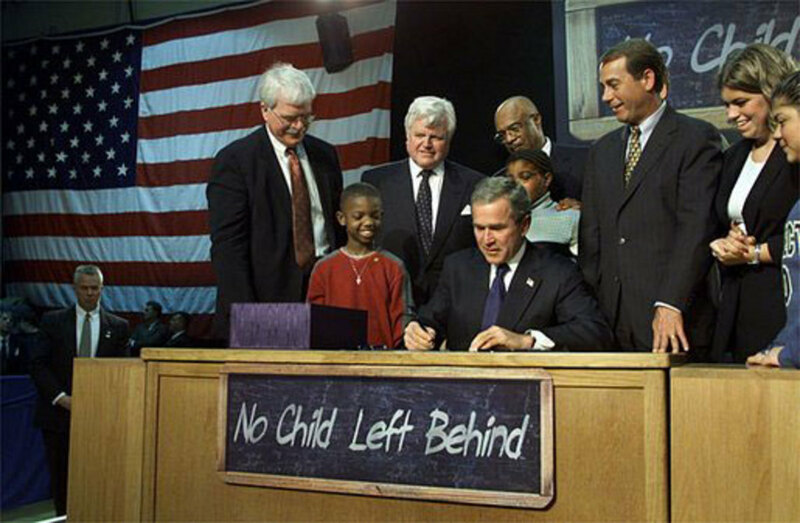 •	affirm the beliefs of the base that supported Bush. But I do like Krauthammer supporting TDS. I think that both GW Bush and Obama were bad. There is nothing wrong in question the birth of the president. It is a requirement of the US Constitution to be a natural born citizen. 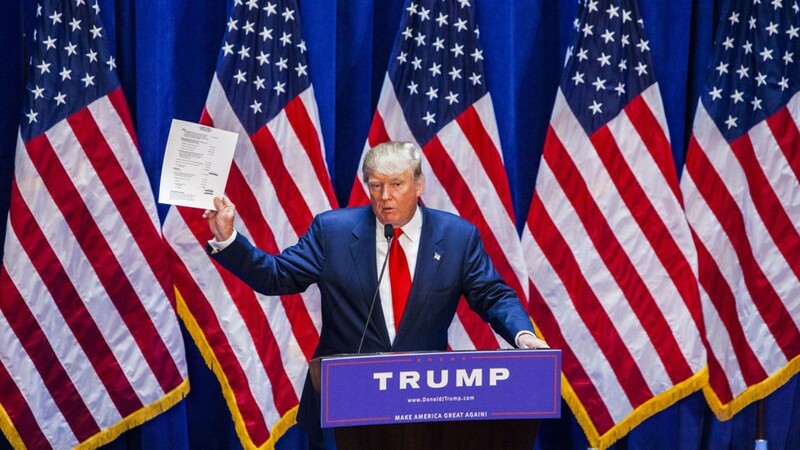 The birther movement was valid until proven different. Never thought Jon Stewart was funny. •	Koch Brothers Derangement Syndrome. Sounds like you are validating these syndromes. Well then it doesn’t apply to president Trump as he has a good record. While Clinton through Obama don’t have good records. At best, some who has been accused of TDS or any form of derangement syndrome must realize that it’s just an pejorative and not something to be taken seriously. That is the method that spreads TDS. The problem with a joke is that in time someone takes it seriously. 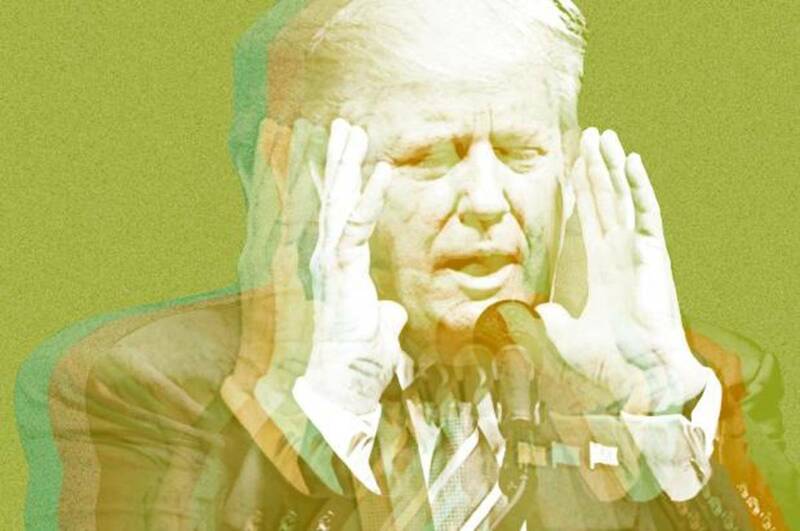 In the contentious age of Trump, TDS has become an attack weapon rather than an instrument of ridicule. The TDS and Anti Trump people certainly know attack weapons. As reports roll in nearly everyday that brings into question the president’s ability to do his job, his proponents have racked up the attacks to the point they’ve become mean and nasty. In addition, one wonders if the those who use TDS actually believe that their opponents have a mental disorder. I only have to point to AP to dispel that there are any facts to support president Trump’s inability to do his job. He could do it better without the “Resistance”. And those reports come from TDS, biased media, and those in congress that are not doing their job while criticizing the job done by president Trump. If this is referring to me, then I have to say I am not a Right or Left winger, I just like Trump. I don’t care for the republicans, and I have no respect for the democrats. Especially those in congress in my state, California. It does need to be taken seriously because the people with TDS are dragging down the country. They are dividing it using a myriad of devices. You know what they are so don’t ask. In no words does it even diminish the argument about those afflicted with TDS. In the example given, the forum continued for another day with the usual group of right-wing commentators making their TDS claims. Then someone – the person originally attacked with TDS -- got devised a comeback. The rebuttals from the right-wing commentator or other Trump supporters stopped; the forum threads. And for a brief period, the symptoms for TDS were treated. No need to call a doctor. You know what might be a good idea? Banning Fox News... but, just so it doesn't seem like we are picking on anyone, we could also ban the biggest 'lefty' media source along with it. Would that be MSNBC or CNN or someone else? Great idea! Take the 2 main devious combatants out of the ring. Oh yes, Fox news does that, too. Bill Oreilly "Tiller the baby killer", "they were selling baby parts"...etc. Sarah Palin did it all the time, implying Obama was a muslim terrorist at her rallies. The lock and load comments...Glenn Beck saying only way to stop Obama and Pelosi is to put a bullet through their heads. ETC. Junko told me its called stochastic terrorism. And then of course, we have president 'golfs everyday' himself...telling his rabid audience, "there is a second amendment solution"
"Lock her up, lock her up"
Creating a rabid, foaming at the mouth hate mob. Directed against democrats, the media, mexicans, muslims, and black football players peacefully demonstrating their first amendment rights. And now, grown men who take our money are lying for him. 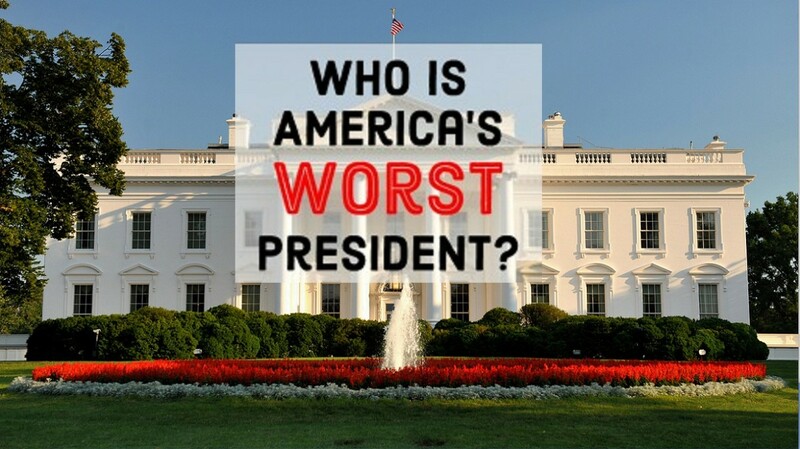 He is bar none, the biggest piece of excrement to ever park his dishonest load on our white house chair. Honestly, the whole place will have to be fumigated once hes gone. Which, hopefully wont be too long now. And America should ban Fox, like other sane countries do. I mean, there have been plenty of people say their parents changed into someone they dont recognize after watching that mind kontrol krap. These derilicts have used our freedoms to destroy America. I find you can not ignore it. I ask quetions that leave them dumber then their comments. What are you going to do if you discover certain things to be true. Its like meeting a racist. What if I was black would you be saying this garbage. Because I am white you think I am a racist like you. I tell them my parents were black but they adopted me any way. My wife and my children are black and we practice shooting every week end. It doesnt have to be true because you are talking to idiots who know no truth to begin with. Making them think is scary for them. To Yes Dear: Yeah, but they sure love using TDS. It reminds me of something; I read a recent article on this site from a Trump Supporter. Unlike others on this topic, it was actually readable. Unfortunately, he was invoking the usual TDS tactic without actually saying it. I found the article to be unintentionally humorous. At the same time, it was disturbing because the writer ( as well as other Trump supporters) is spreading the false and dangerous notion that anyone that doesn't think like him or doesn't adhere to the Trump philosophy are deviant and sick in the head. And for good measure he added the persecution complex for good measure. I fear people like this can give a mentally unstable person the idea to lash out in a violent way. This has happened already. I don't worry so much about TDS, as all these Trumpaholics!! !